Plant calculation charts come in particularly handy when planting groundcover plants, annual bedding plants and other plants that you intend on mass planting over a large area. Tip: Under the Description tab on every plant page in Wilson Bros Gardens you'll find a recommended spacing distance. This spacing distance is based on "on-center" spacing, which simply means from the center of one plant to the center of the next plant. 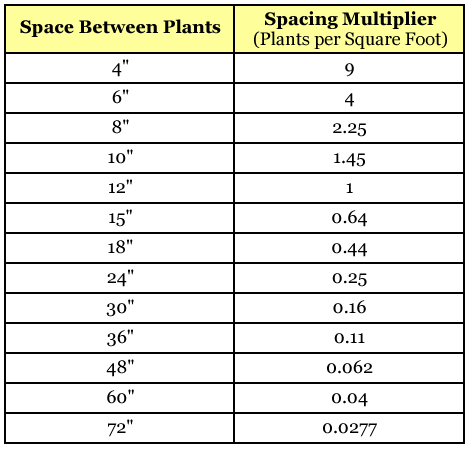 Note: Before you can calculate how many plants will be required to fill a given area you'll need to first determine the total square feet of the planting bed. 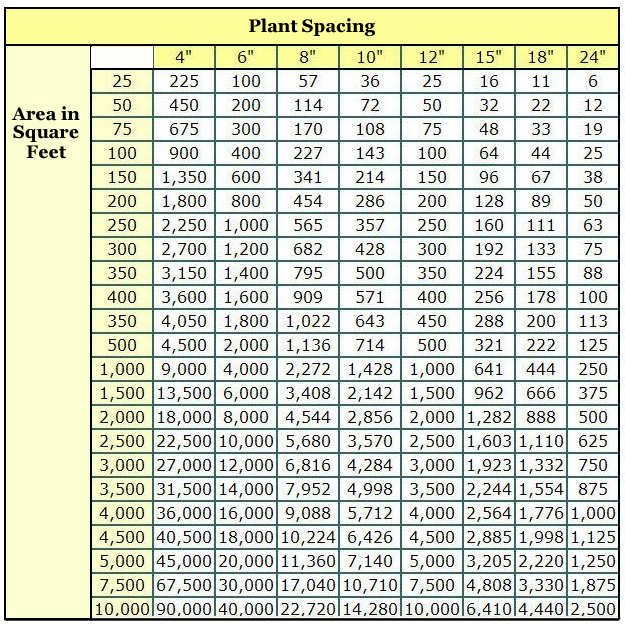 Note: If you'll be spacing your plants more than 24 inches apart or if you do not find the exact size of your planting area, either estimate by selecting the closest area listed or use Chart 2 below to more precisely calculate how many plants will be required, or use this convenient Plant Calculator. If you intend on spacing your plants 18-inches apart, and your planting area is 300 square feet, the box where that column and row intersect indicates you will need 133 plants to cover the planting area. 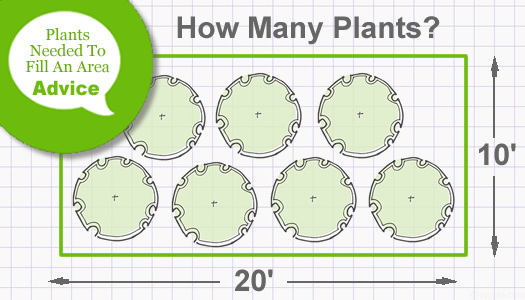 The column on the right is the number you need to multiply by the total square feet of your planting area. At Wilson Bros Gardens, we're at your service!